Living a Fit and Full Life: Get in the Game with Turtle Beach's XO THREE Gaming Headset for Xbox One! 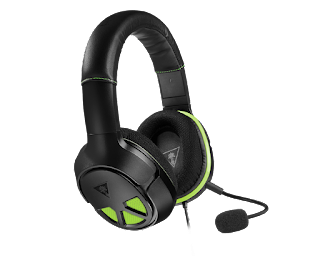 Get in the Game with Turtle Beach's XO THREE Gaming Headset for Xbox One! The TURTLE BEACH® XO THREE officially licensed gaming headset for Xbox One delivers the unbeatable sound and quick access controls needed for multiplayer victory. The XO THREE provides amazing game and chat audio through large, high-quality 50mm over-ear speakers while Turtle Beach’s renowned high-sensitivity mic picks-up your voice loud and clear. The XO THREE’s fabric-wrapped ear-cushions and leather-wrapped headband offer better breathability and added comfort for those hours-long gaming sessions, and the adjustable mic can be removed when watching movies and listening to music. Convenient in-line controls place Master Volume and Mic Mute right at your fingertips, and the standard 3.5mm connection makes the XO THREE great for using with other compatible devices. The XO THREE is also surround sound ready for Xbox One and compatible Windows 10 PCs. *Surround Sound available only on Xbox one and compatible Windows 10 PCs with update from Microsoft. Get in the game with Turtle Beach's XO THREE Gaming Headset for Xbox One! My husband and I are huge gamers and love spending an evening playing Xbox One after the kiddos are in bed. My little sisters still live at home with my parents but we often log on and play with them so having a good headset is a must for game play so that we can interact with them while playing. Turtle Beach's XO THREE Gaming Headset for Xbox One is phenomenal and I absolutely love how crystal clear the sound is. I also love the quick access controls and really like the placement of the controls. All the controls seemed to be right where you'd expect them to be which made learning how to operate the headset a breeze. Turtle Beach’s renowned high-sensitivity mic picks-up my voice loud and clear and leaves behind the background noise which I love. I also really like that the mic can be removed when watching movies and listening to music so they're multi-functional. Turtle Beach's XO THREE Gaming Headset for Xbox One is extremely comfortable and I often even forget that I'm wearing it. 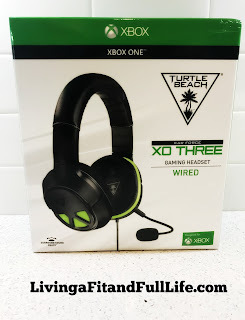 Turtle Beach's XO THREE Gaming Headset for Xbox One is exactly what you need to get in the game and I highly recommend this headset! 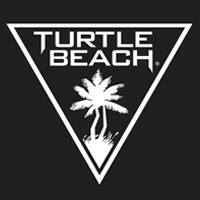 We use TurtleBeach wireless headsets and love them,too! Great sound (can hear people trying to sneak up on us! ), lightweight, removable mic.